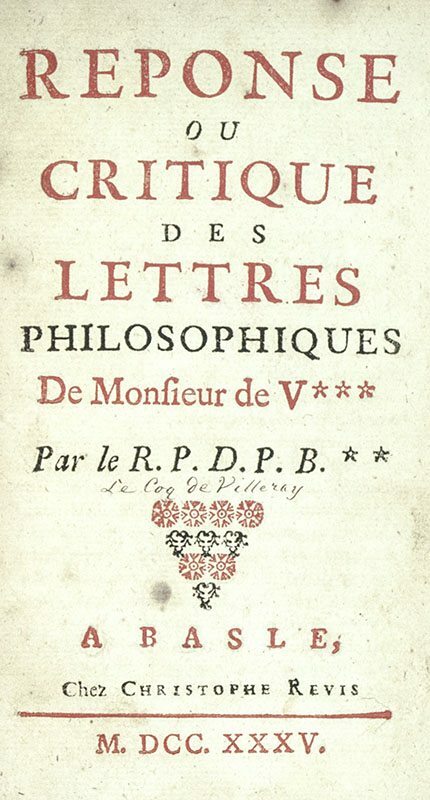 Reponse ou Critique des Lettres Philosophiques De Monsieur de Voltaire (Response and Critique of the Philosophical Letters of Mr. Voltaire). 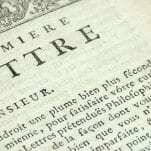 Villeray, Le Coq de [Voltaire]. 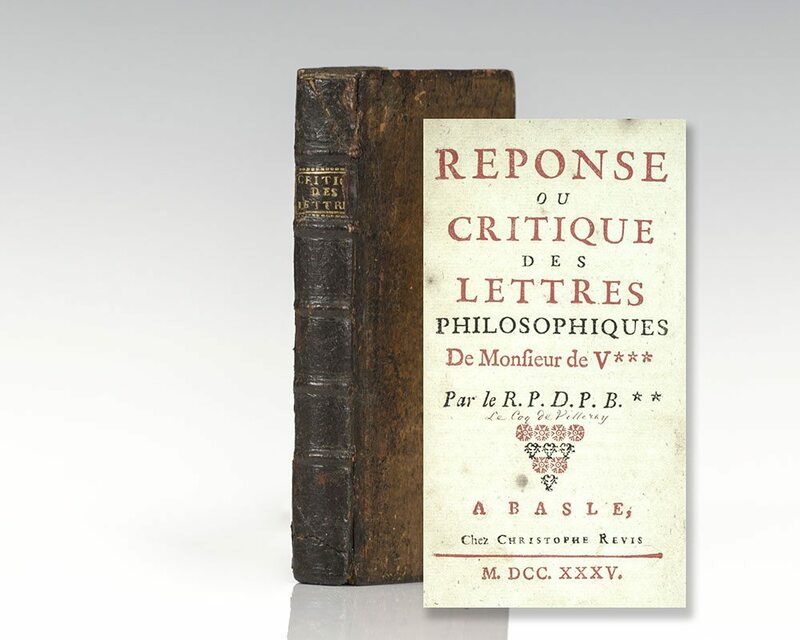 Basle: Chez Christophe Revis, 1735. 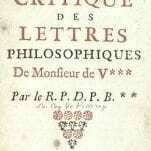 First edition of Le Coq de Villeray’s response to Voltaire’s Letters Concerning the English Nation, published in 1733. Octavo, bound in contemporary calf, gilt title to the spine, raised bands, marbled endpapers. In very good condition. Rare. Voltaire composed his Letters Concerning the English Nation based on his experiences living in England between 1726 and 1729. 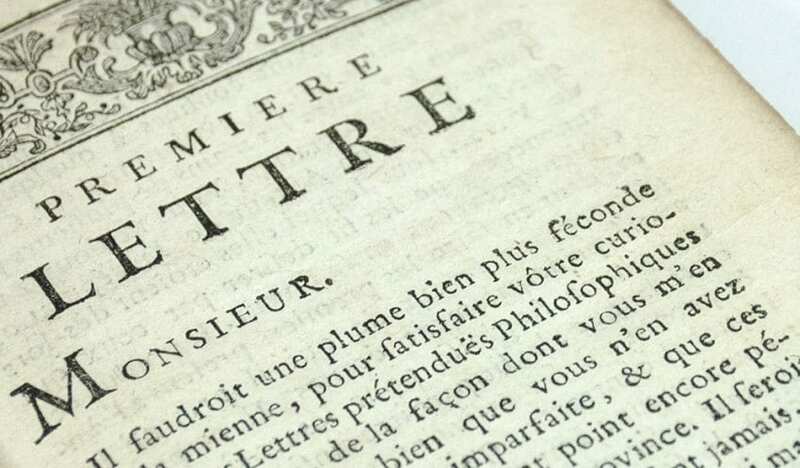 The volume was first published in English in 1733 and then in French the following year, where it was seen as an attack on the French system of government and was rapidly suppressed. 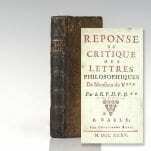 The letters concerned Voltaire's views on Anglicanism, the Quakers, William Penn, and John Locke.